The Democratic Party regained control of the House of Representatives as a result of Tuesday's midterm elections, while the Republicans held firm control of the Senate. While a Democratic-controlled House now has the power to impeach the President, such a precipitous move is politically fraught, and likely will happen only if special counsel Robert Mueller delivers knockout evidence of criminality. It is more crucial than ever, therefore, that Mueller be permitted to complete his investigation without political interference. Tuesday's seismic shift in power provides crucial -- though imperfect -- protection for Mueller against political forces that might seek to suppress or stifle his ultimate investigative findings. With Tuesday's election results, the prospect of presidential impeachment just went from "nil" under a Republican House to "unlikely but entirely possible" with the Democrats in control. The Constitution requires only a simple majority in the House -- 218 of the 435 total votes -- to impeach. While the Democrats now can impeach the President unilaterally, there are practical and political risks to exercising that power. Practically, even if the House votes to impeach, the President can be removed only by a vote of two-thirds of the Senate. After Tuesday's vote, the Democrats do not have a Senate majority and are well shy of the 67 votes required to remove the President. Even a successful House vote to impeach could be a mere formality, given the infinitesimal chance of a significant number of Republican Senators turning on their own political leader. Impeachment also carries political risks. Former (and potential future) Democratic Speaker of the House Nancy Pelosi said recently that "I don't think we should be talking about impeachment. ... On the political side I think it's a gift to the Republicans." Trump and Senate Majority Leader Mitch McConnell have used the possibility of impeachment to rally political support and to motivate their base supporters. Indeed, history calls for political caution by Democrats: President Bill Clinton's favorability ratings increased 10 points to 73% following his 1998 impeachment, while only 35% of respondents approved the House's decision to impeach. The political calculation will change drastically, however, if Mueller produces what prosecutors sometimes call a "head shot" -- irrefutable proof of a serious crime. Evidence has a way of changing minds and political calculus, quickly. Perhaps the most famous example is the Richard Nixon White House tapes. After a protracted legal battle in 1974, the United States Supreme Court ordered Nixon to produce tapes that had been made inside the White House to the special prosecutor. Those tapes contained stunning evidence that Nixon took part in a conspiracy to obstruct justice by paying witnesses "hush money" to remain silent. Nixon resigned several weeks later, under unbearable political pressure. It remains to be seen whether Mueller has or will develop similarly damning evidence against Trump, or even some lesser showing that could still justify impeachment or otherwise change the political landscape. Of course, Mueller knows far more than we do at this point, but we already know that he knows a lot. 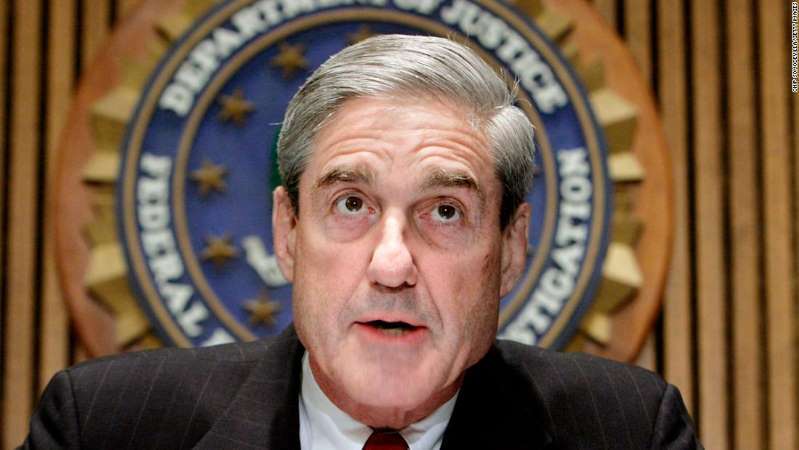 Mueller thus far has developed evidence strong enough to charge and convict Trump's former campaign chairman Paul Manafort, former national security adviser Michael Flynn, personal attorney Michael Cohen (who pleaded before the Southern District of New York after a referral from Mueller) and other advisers, including Rick Gates and George Papadopoluos. Each of those now-convicted associates of the President's now have, in turn, provided more evidence to Mueller. The big question following midterms, then, is whether Mueller will have the ability to complete his work and to act on whatever evidence he gathers. The passage of Tuesday's midterm elections could place Mueller in increased danger of political interference -- but at the same time, the fact that the Democrats took the House provides Mueller with vital, counter-balancing protections. Now that midterms have passed, Trump is all but certain to fire Attorney General Jeff Sessions, whom Trump has publicly berated as "weak," "beleaguered" and "scared stiff and Missing in Action." Because Sessions recused himself from the Mueller investigation -- a move Trump has called "very unfair to the President" -- Deputy Attorney General Rod Rosenstein assumed supervision of Mueller. If either Sessions or Rosenstein departs now that midterms are over, Mueller will have a new boss. That new boss certainly will be well aware of the President's feelings about Mueller's investigation. Whoever takes over as Mueller's boss will hold broad power to supervise, and potentially limit, his work. The special counsel regulations provide that the attorney general "may request that the special counsel provide an explanation for any investigative or prosecutorial step, and may after review conclude that the action is so inappropriate or unwarranted under established Departmental practices that it should not be pursued." Translation: the attorney general can squash anything that Mueller wants to do, from issuing subpoenas to filing charges, if he provides a reason why, in his view, the special counsel's proposed action is inappropriate or unwarranted. The special counsel regulations also require Mueller to provide a confidential report upon the conclusion of his investigation to the attorney general, who, in turn, has discretion over dissemination of the report or its component findings to Congress and the public. The newly Democratic-controlled House that takes office in January 2019 is far more likely than its Republican-majority predecessor to demand full transparency from the attorney general on the special counsel's findings and to make those findings known to the American public. The new Democratic majority in the House provides another crucial backstop for Mueller. Even if the President or his new attorney general limits Mueller's work, fires him or otherwise prevents Mueller's findings from becoming public, the Democrats now hold the all-important subpoena power in the House. Therefore, House Democrats will have the ability to compel production of evidence and to hold public hearings on any unresolved issue that might have fallen under Mueller's purview, or even beyond. While the House itself cannot issue criminal charges, it can give a public airing to important issues and it can refer matters to the Department of Justice for criminal investigation. As Mueller's work continues, the stakes will increase. Now, with the passage of midterms, Trump will be able to once again focus his attention and attacks on Mueller. However, the fact that Democrats have regained control of the House provides at least some assurance that Mueller will be able to complete his work without undue political interference.